Almost the entire life of Andy Narell has been devoted to mastering the steel drum. The steel drum, also known as the steel pan, was invented in Trinidad, where it was first made from the lids placed atop oil drums. The Grammy-Award winning percussionist describes his instrument as an engineering feat that defies the odds. Narell spoke with WEKU’s Roger Duvall. 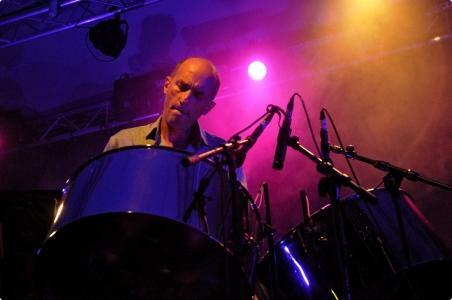 Steel drum percussionist Andy Narell. Narell performs tonight at Eastern Kentucky University’s Brock Auditorium.